| MLS# U8034475 | Westchase Real Estate - Westchase FL Homes For Sale - Westchase Local Experts. 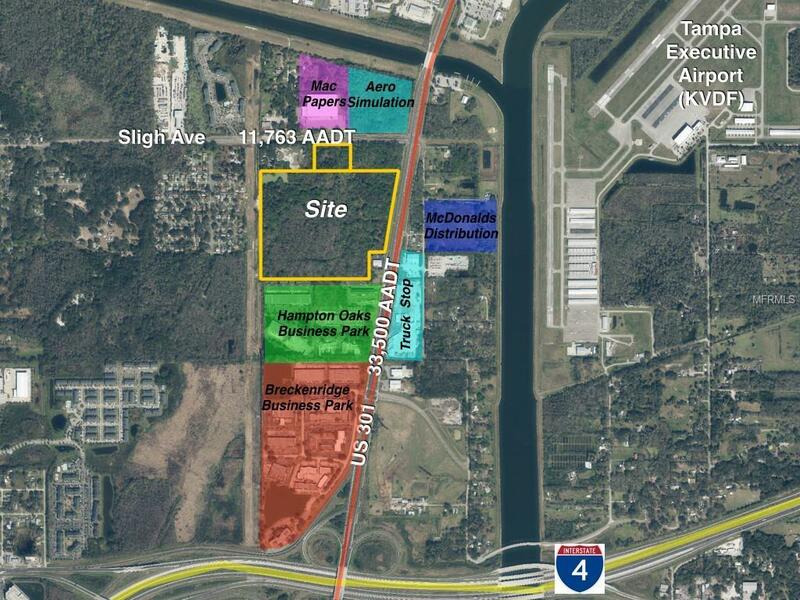 This 51.5 acres of industrial land is primed to be the next great distribution center built in the Tampa market. It is ideally located on US 301 just north of I-4 with easy access to both Tampa and Orlando. The site has approximately 13 usable acres and can accommodate two buildings totaling approximately 194000 SF. The smaller 24000 SF building fronts on Sligh Ave with the larger 170000 SF building fronting on US 301. The site has proposed access points on both US 301 and Sligh Ave. Seller would divide the site. Zoning: PD (RZ 15-0955) for CI uses of 170000 SF and M uses of 24000 SF.